In 2017 I was fortunate enough to receive a career development grant from the Australia Council for the arts. With this I undertook a 12 month mentorship with the incredible James Muller! It’s been such an incredible experience to study with one of my musical heroes. James is such an amazing musician and I have learned so much from the time spent with him. I can’t thank Australia Arts council enough for giving me this opportunity and to James for being on board for it all. I had a blast! We are pleased to announce we will be performing every Friday through the month of April at The Duke, Hobart. Will be playing 2 sets from 7:30-9:30, entry is Free! 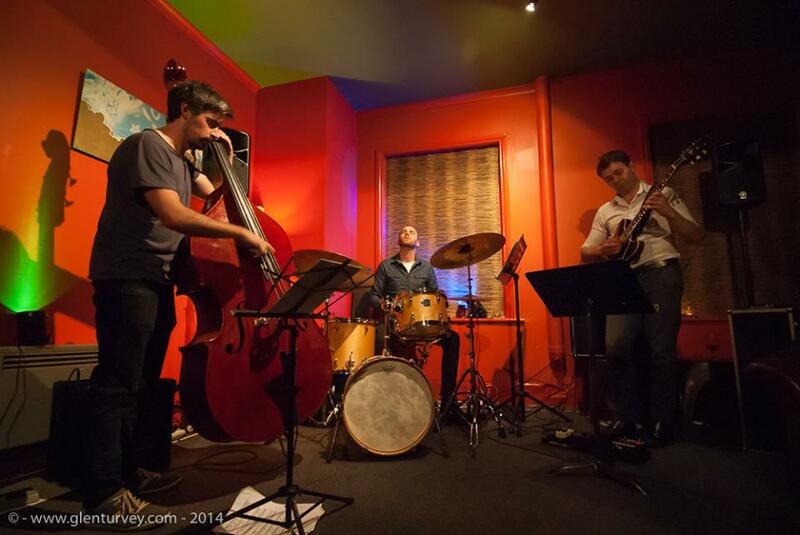 Throughout 2016 I’ve been performing regularly at The Homestead in Hobart with my quartet. 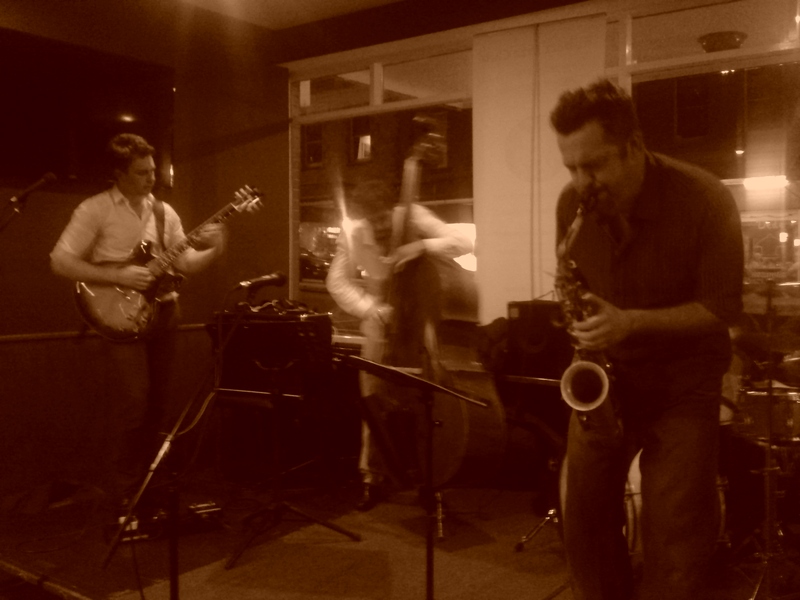 The quartet features regular trio members, Hamish Houston and Rit Coomber as well as the incredible Danny Healy on sax. These have been really fun gigs and a great opportunity to develop new material. Look out for more performances through out 2017. Just returned home from our gig at Lewboskis in Melbourne over the weekend. We had a blast playing and got a chance to try out some new compositions. Joining me for the gig was Hamish Houston on bass and Liam O’Leary on drums. Looking forward to playing in Melbourne again soon! I’ve added a demo recording of a track of mine called Traveler that I recorded a while back with Hamish Houston – Bass and Rit Coomber – Drums. It was recorded & mixed by Zarven Kara @ Reel to Reel Studios, December 2015, Margate, Tasmania. I’ve added a new track of mine called Brighside that I recorded with Hamish Houston – Bass and Liam O’Leary – Drums. It was recorded & mixed by Al Future @ The Avalon Futurium, December 2014, Hobart, Tasmania. We had a blast playing at the last Jazz Quartermasters in Hobart, we got to play alongside the incredible Mia Palencia and her band. Great night of music! We were very fortunate to be joined for some gigs by our good friend Spike Mason, a fantastic Sax player who lives in Tassie. Spike came down for our gig at the last Hot August Jazz Festival and joined us at our Sunday Jazz at MONA session. We hope to have him playing with us again through 2015, we had a blast!